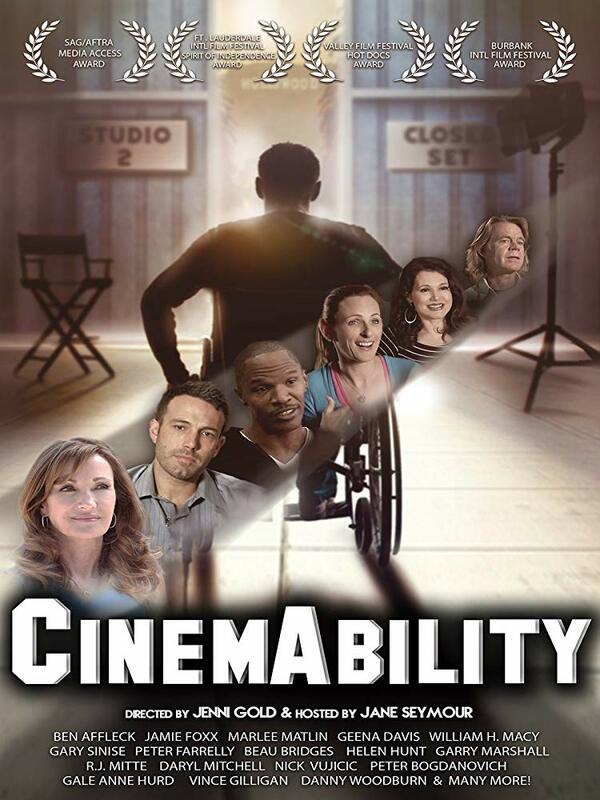 “CinemAbility: The Art of Inclusion”is a documentary that investigates the way media portrayals impact the actual inclusion of people with disabilities in society. Directed by Jenni Gold and starring Ben Affleck, Jamie Foxx, Bryan Cranston, Geena Davis and others, the film discusses the 120-year history of how people with disabilities are being represented in film and television. Gold is the only wheelchair-using director on the Director’s Guild of America. Her inspiration to making this film actually came from an article by the Los Angeles Times. When producers saw the article, they originally wanted to make a documentary on Gold. She had a different vision, however, and aimed to create a film on disabilities in Hollywood. “It was very interesting to capture special moments in the background. I didn’t realize how much I was going to enjoy [the directing process] but I am curious by nature and I like talking to people and finding stuff out. Doing that and getting people that really opened up was a lot of fun,” Gold said. The film features over 20 different authors, actors and people knowledgeable in the entertainment industry. The documentary reveals their experience and their thoughts on the subject while showcasing clips on the evolution of the portrayal of the disabled in the media. Since the release of the film, Gold has worked on other narrative projects such as “Aaah! Roach!” which is currently in post-production. She plans to continue telling her stories whether it be through documentary or through a narrative. The film, originally released in 2012, received a great response among critics, winning awards at several film festivals, from the Burbank International Film Festival to Golden Reel Awards. The documentary has been re-released across video-on-demand services and DVD on Oct. 5 to coincide with National Disability Employment Awareness Month.